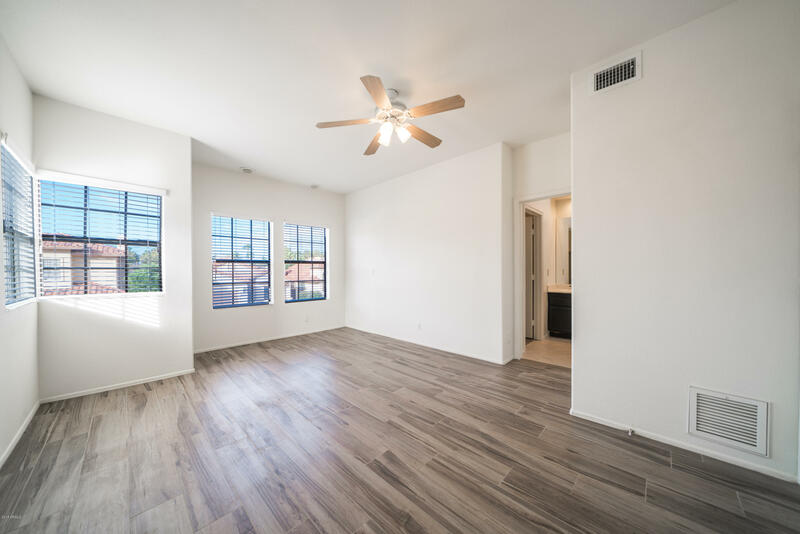 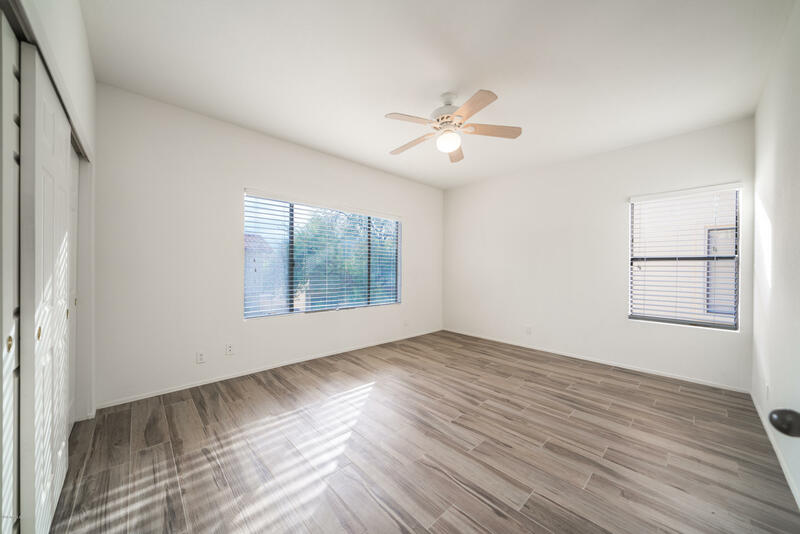 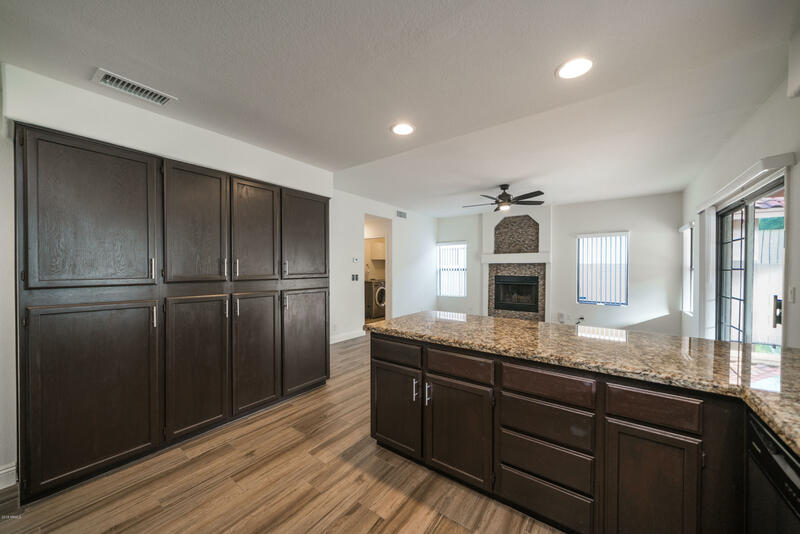 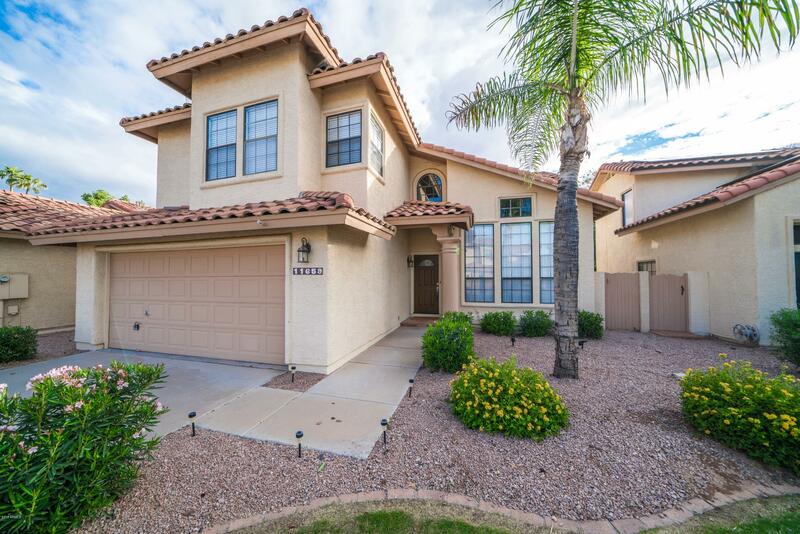 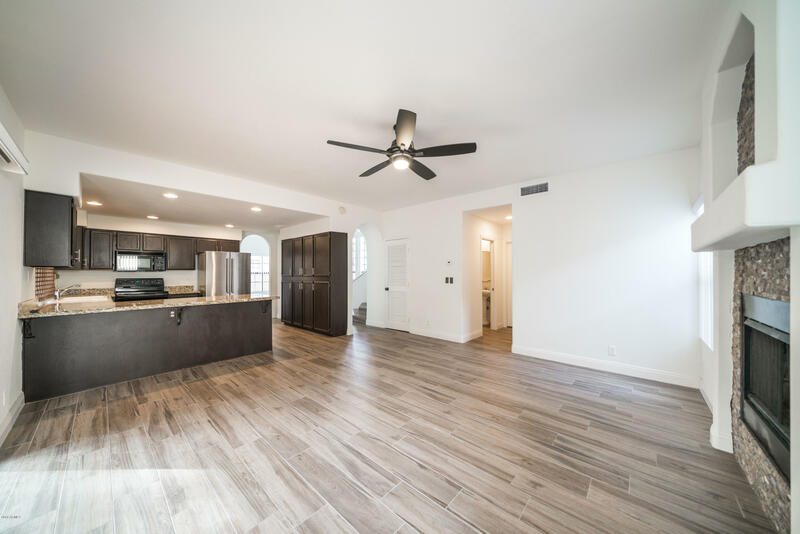 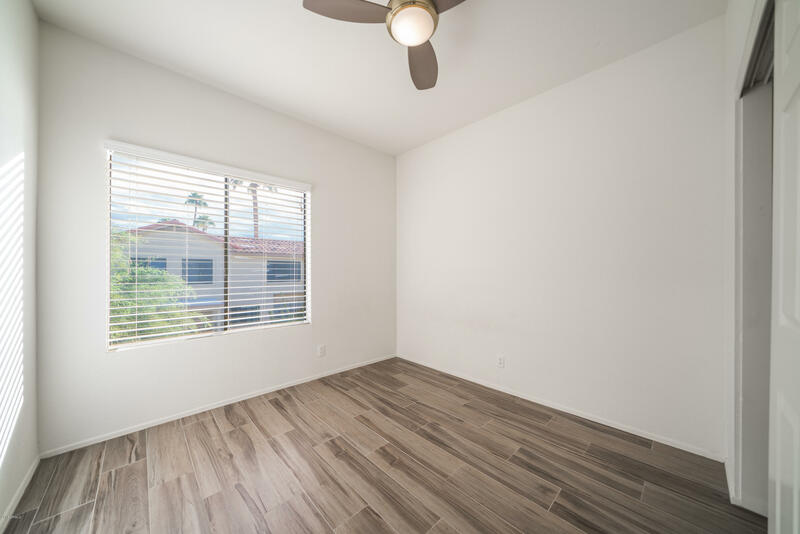 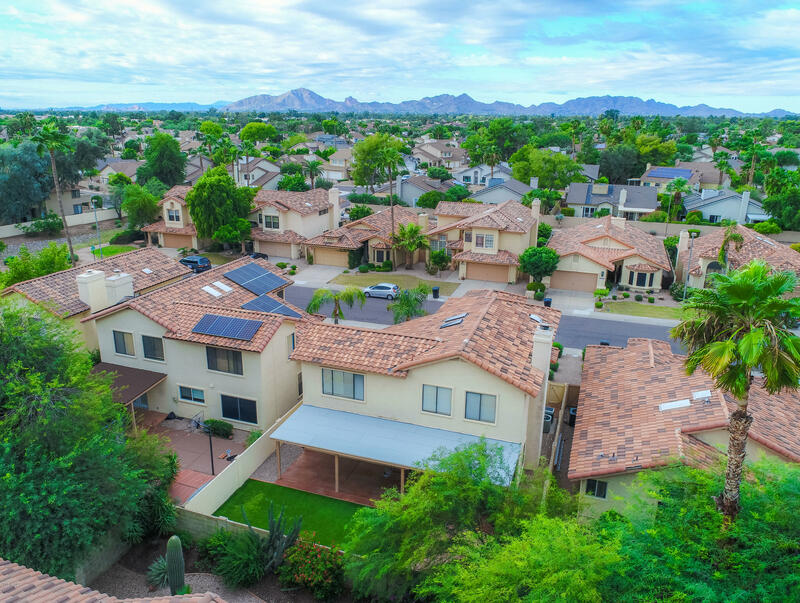 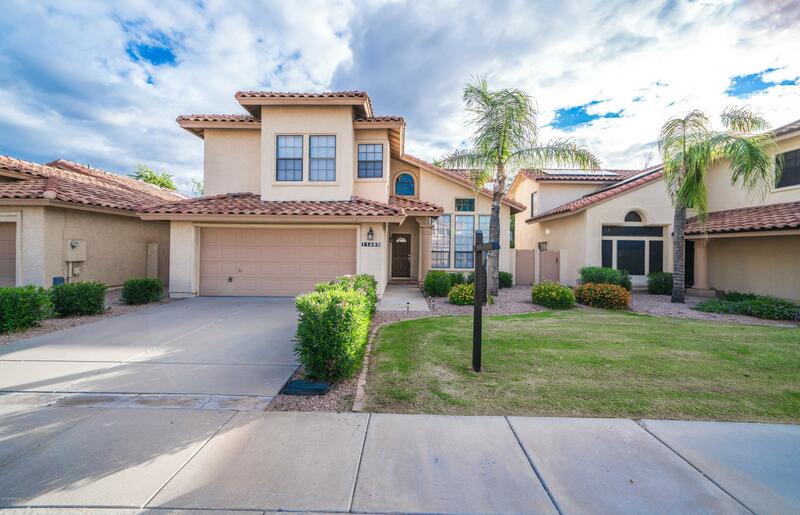 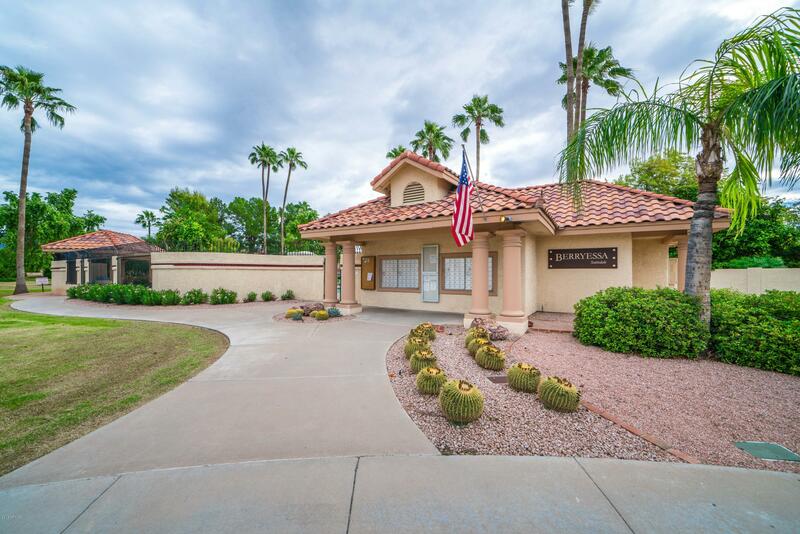 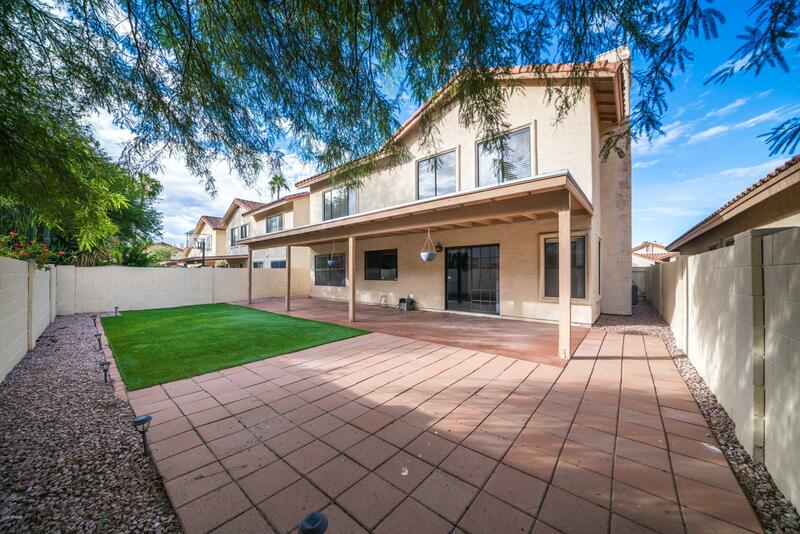 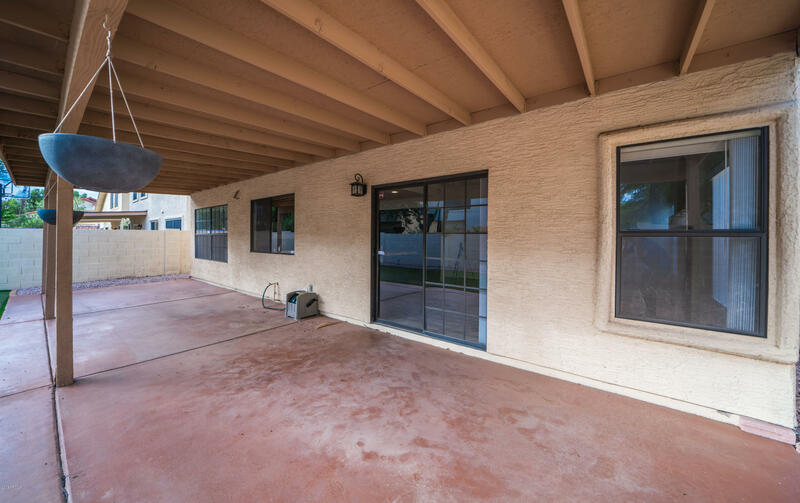 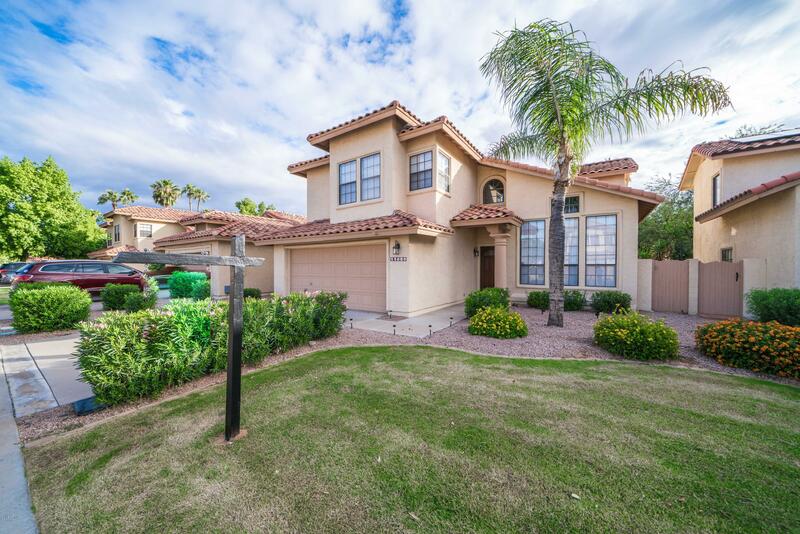 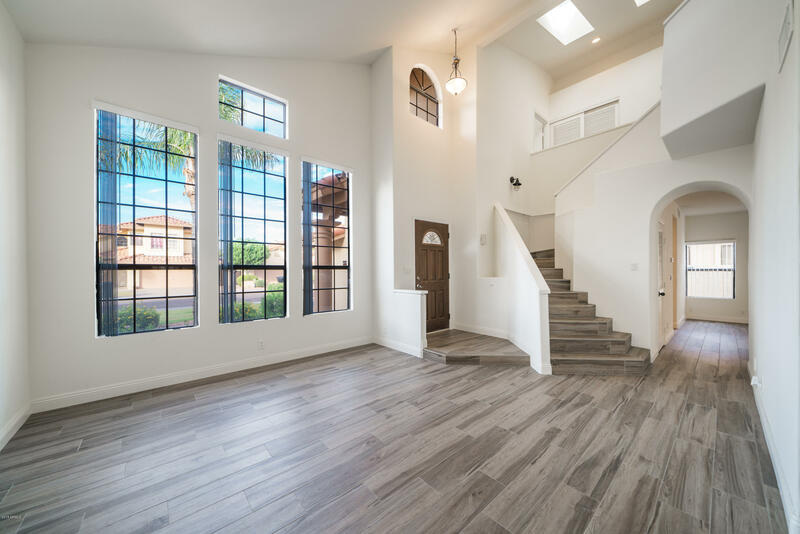 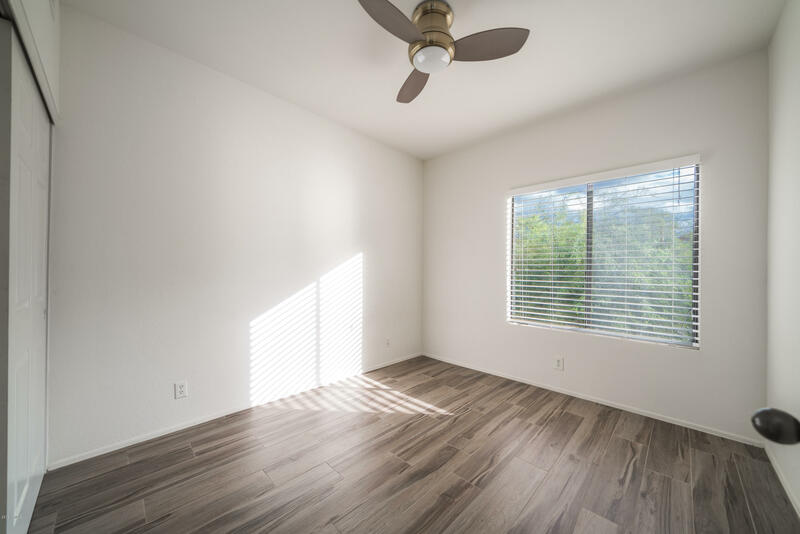 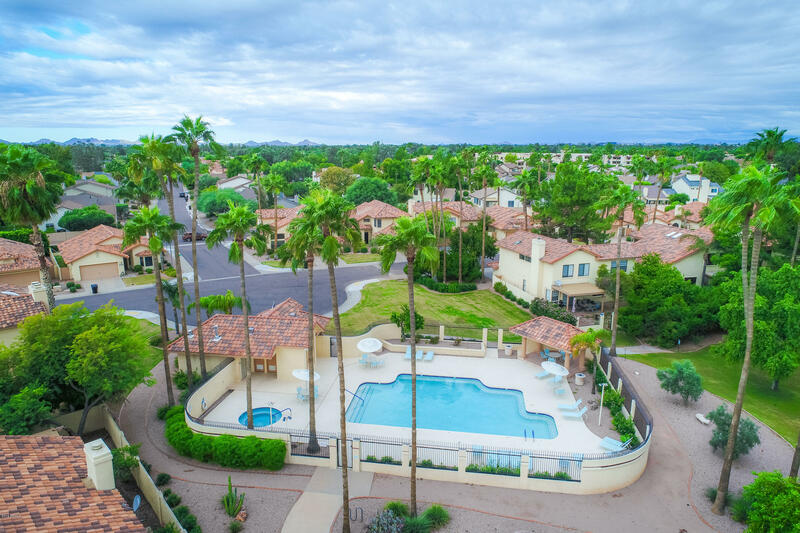 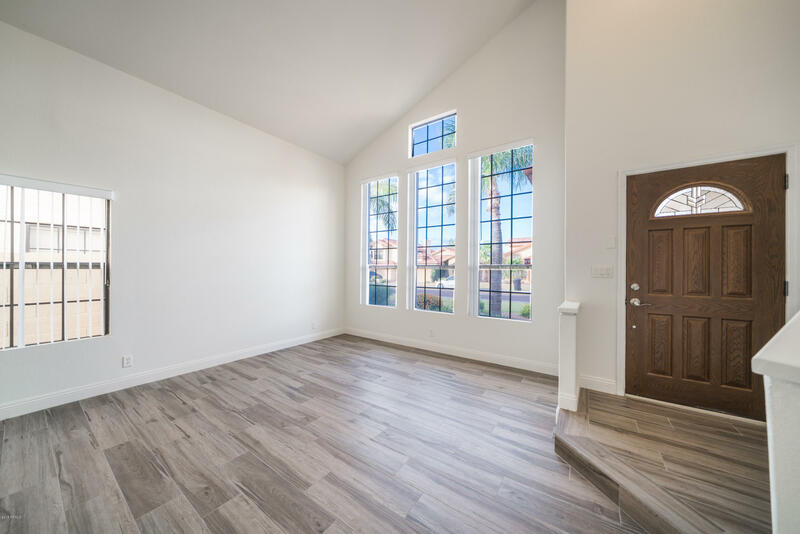 Move-in ready 4 bed, 2.5 bath home in Scottsdale centrally located close to freeway access, shopping, hospitals, restaurants & airports! 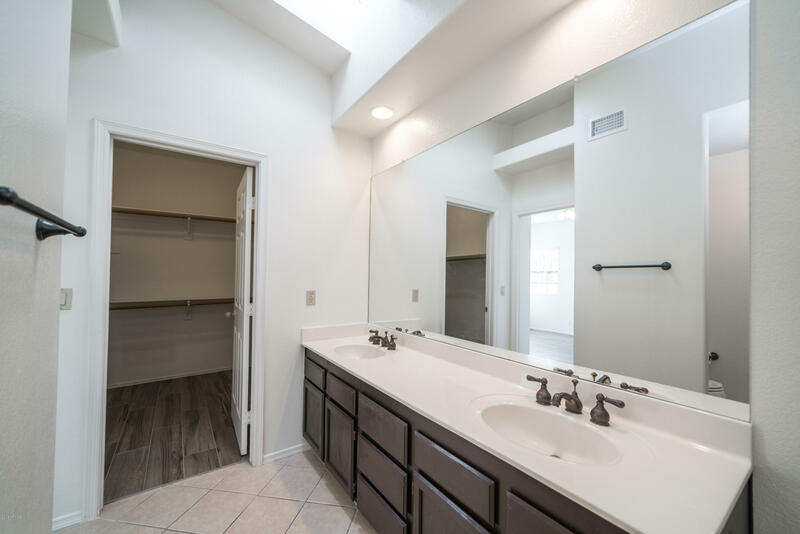 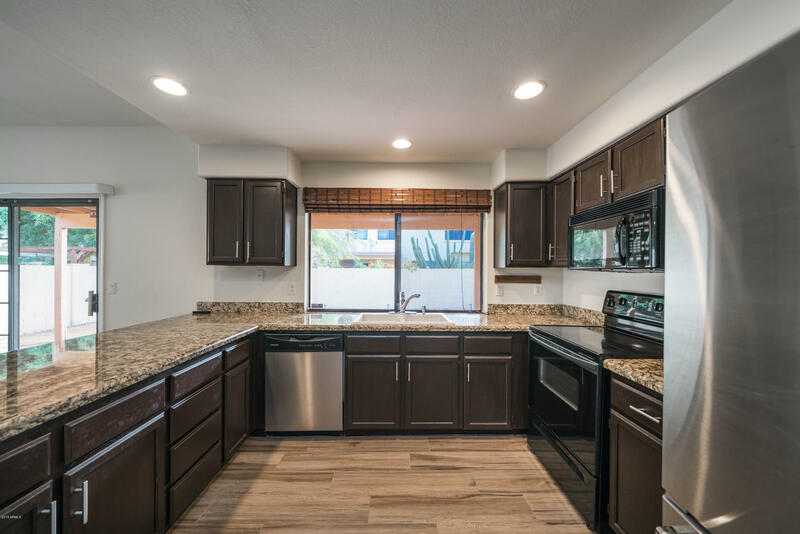 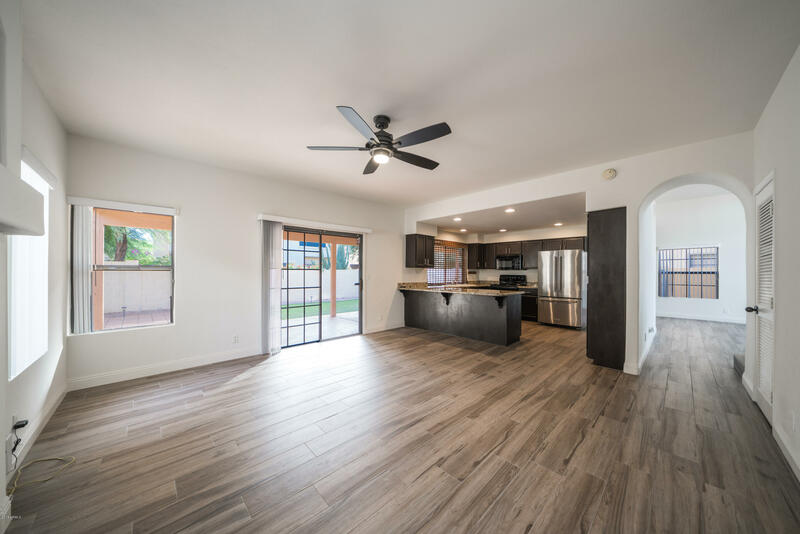 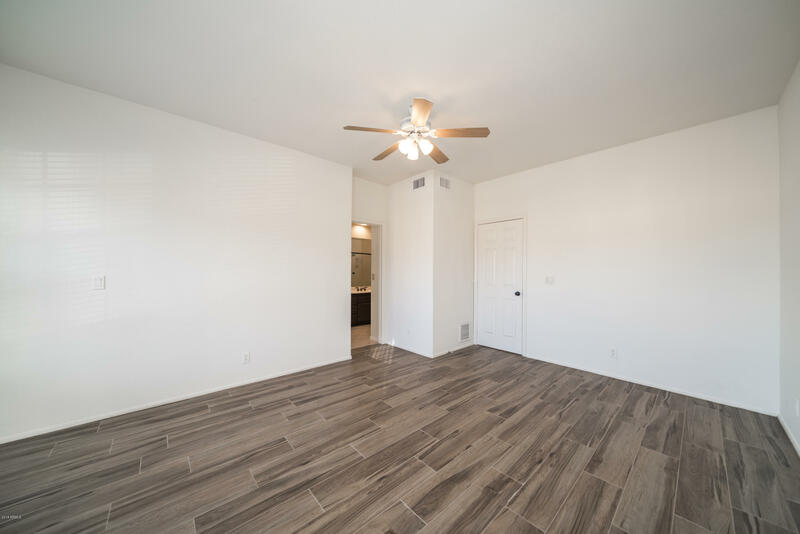 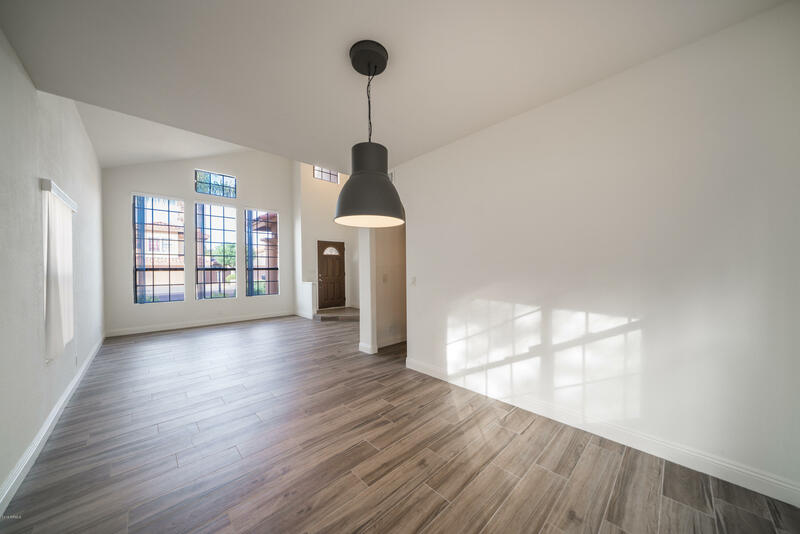 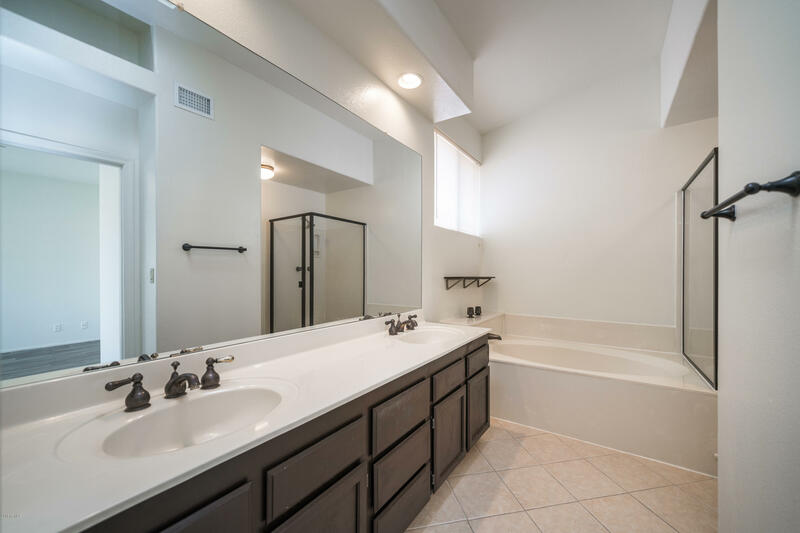 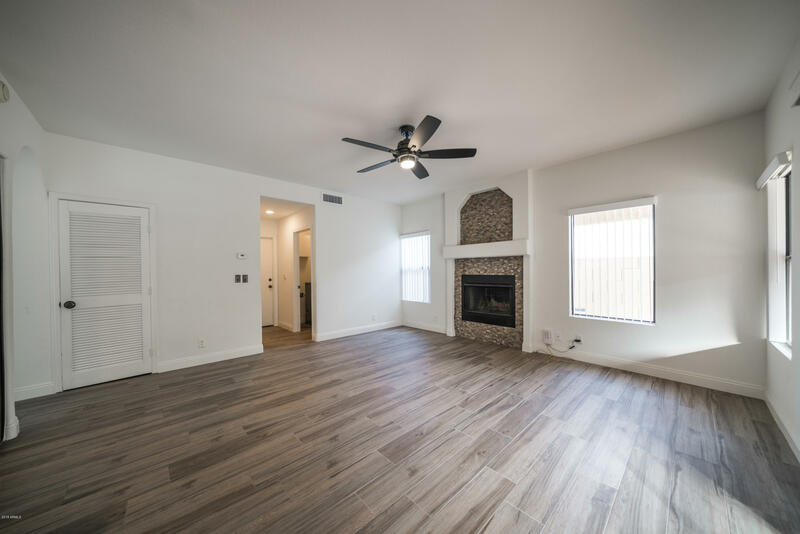 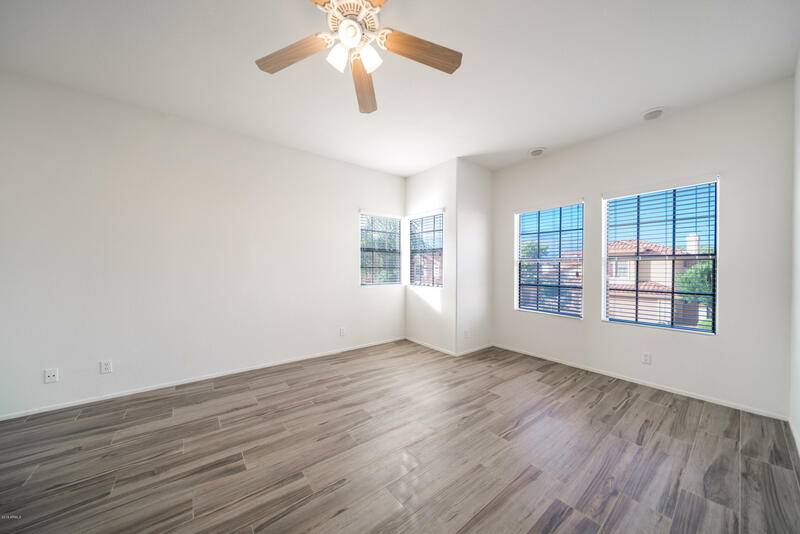 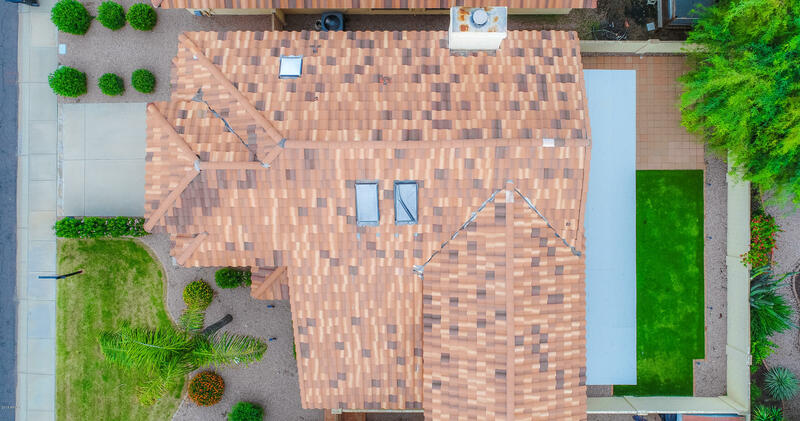 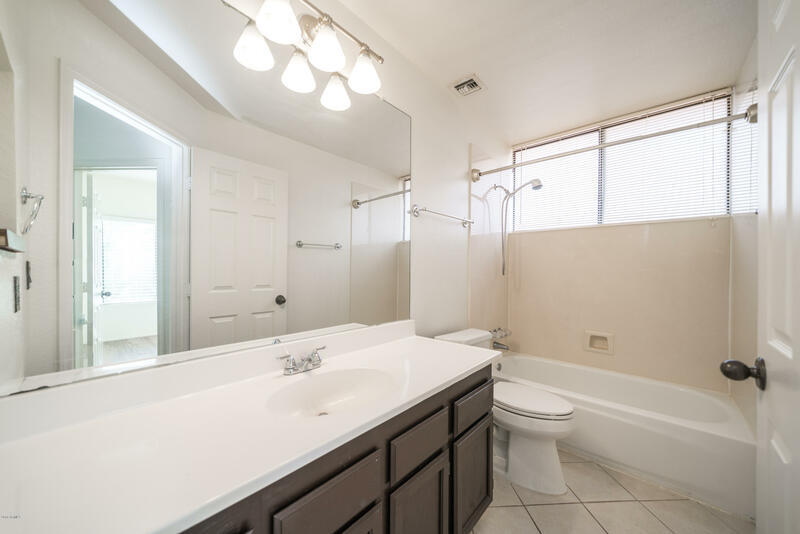 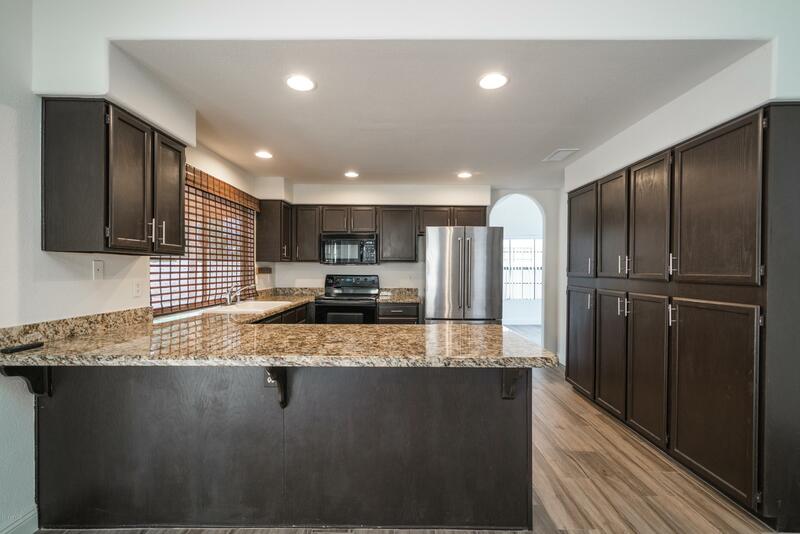 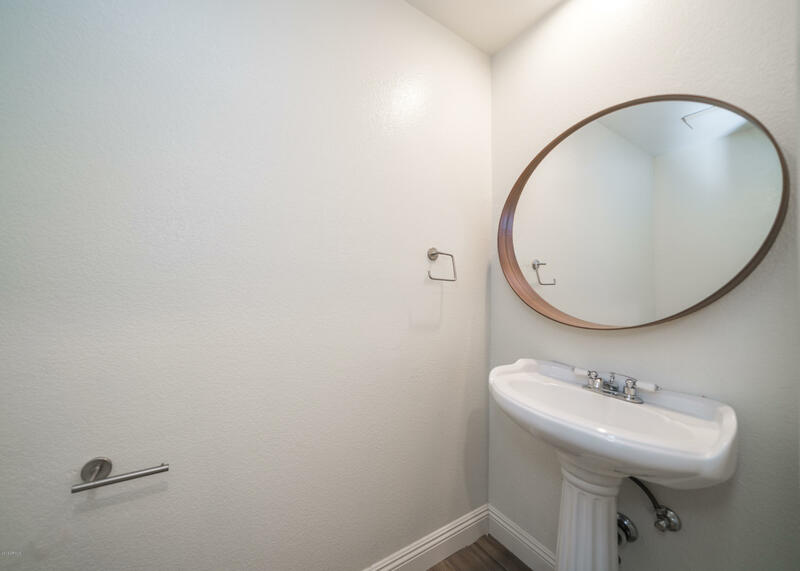 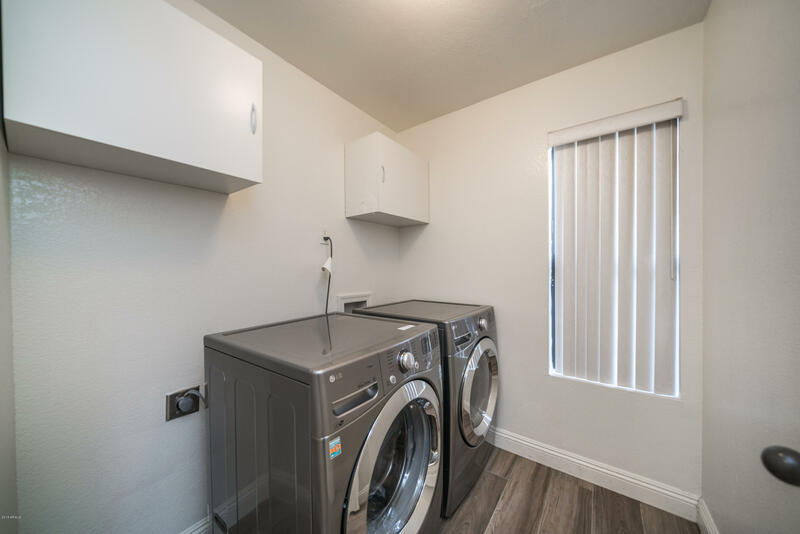 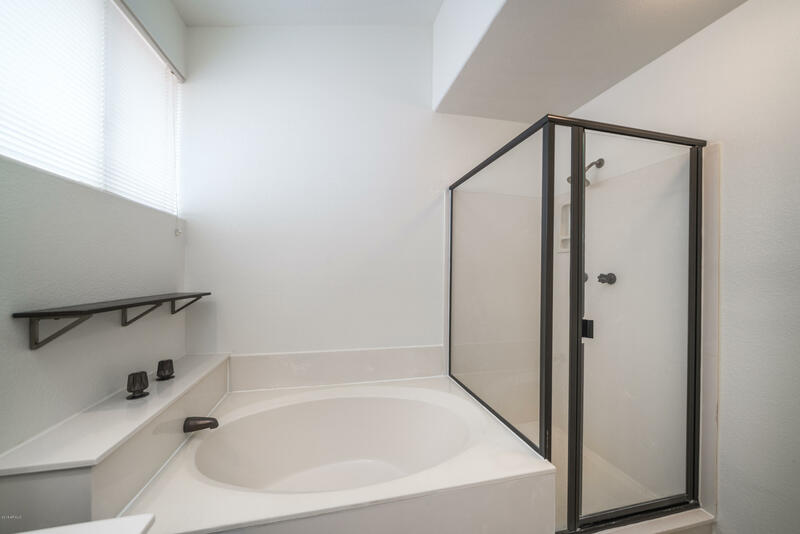 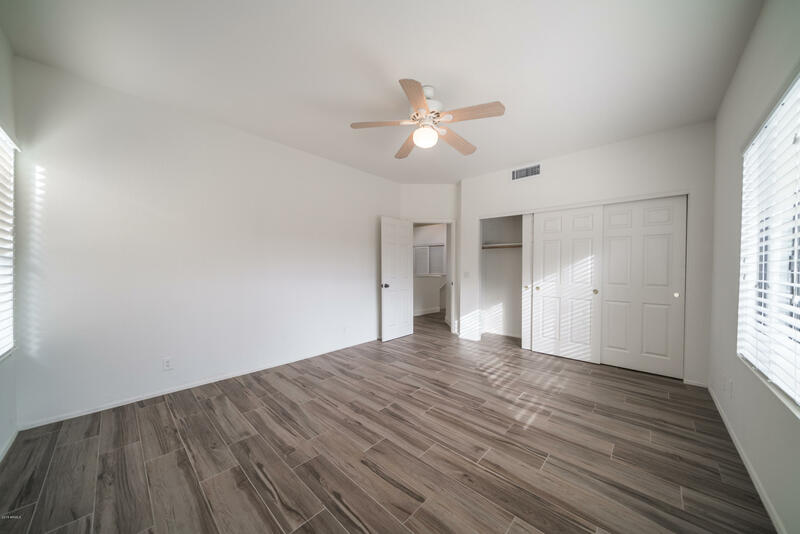 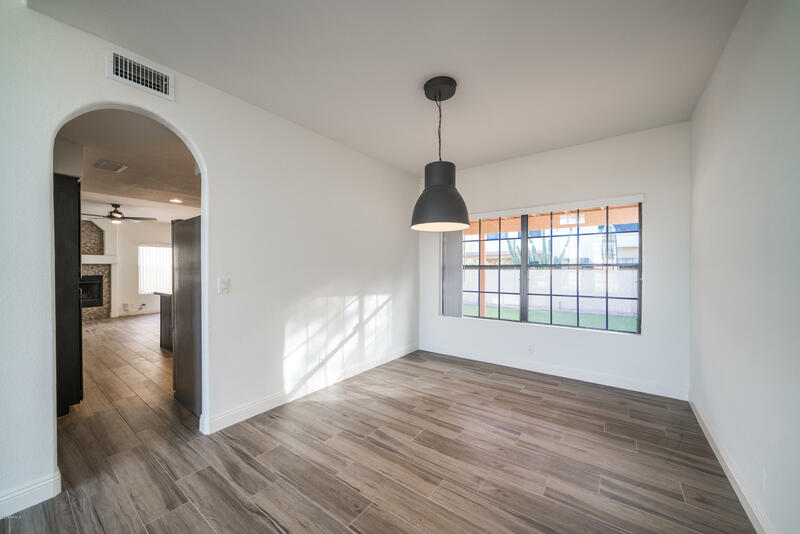 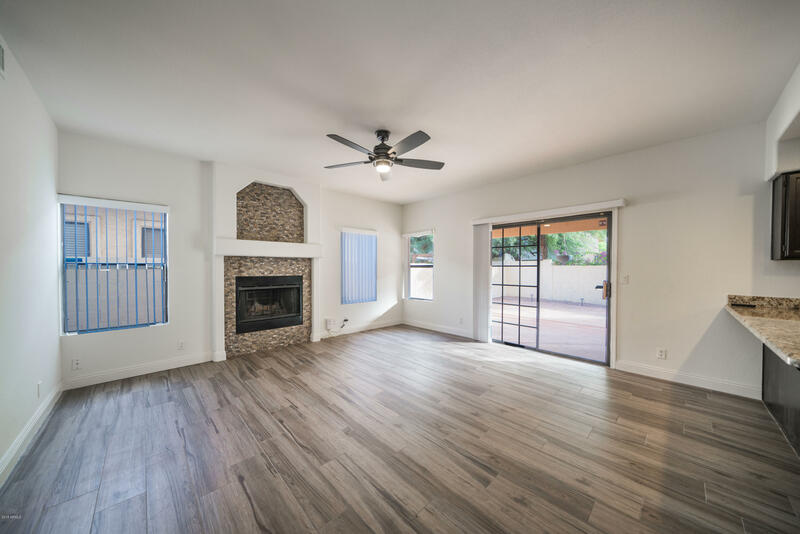 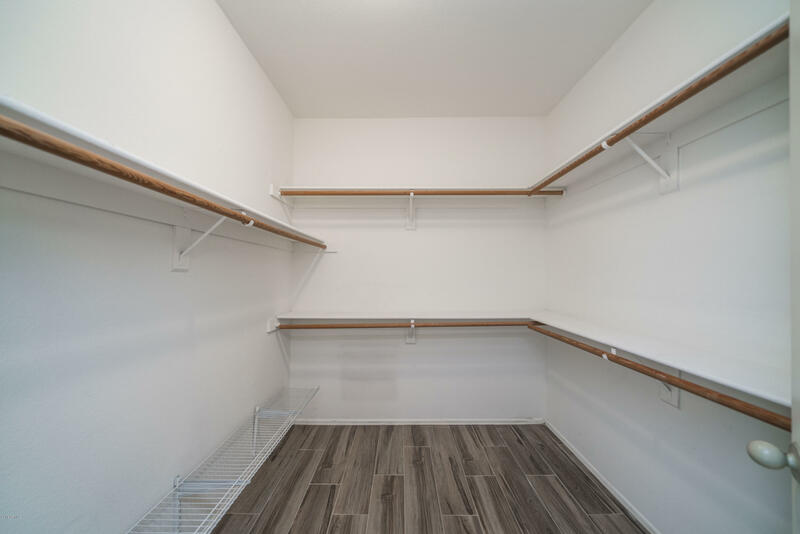 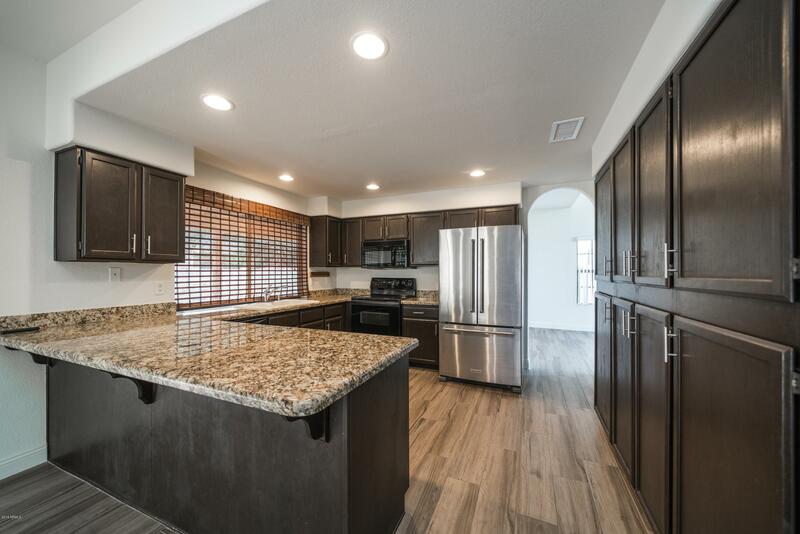 This home has been recently remodeled w/ all new contemporary tile flooring throughout and a new roof as of Dec 2018. 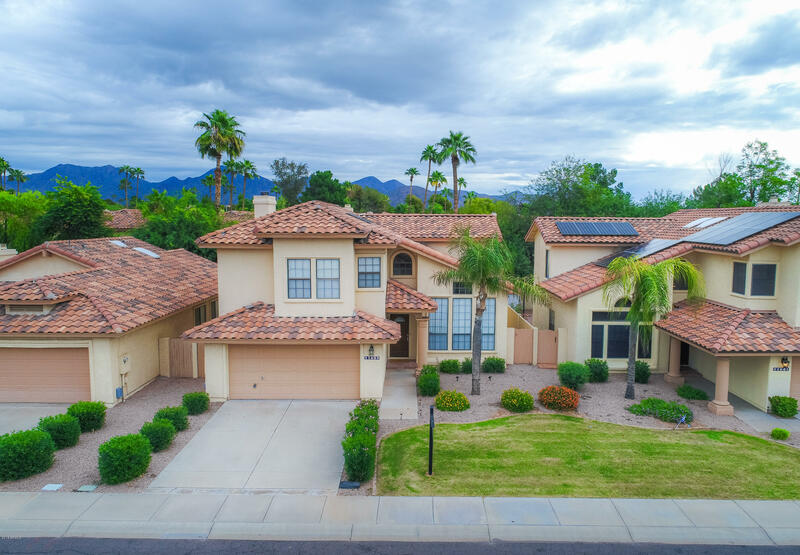 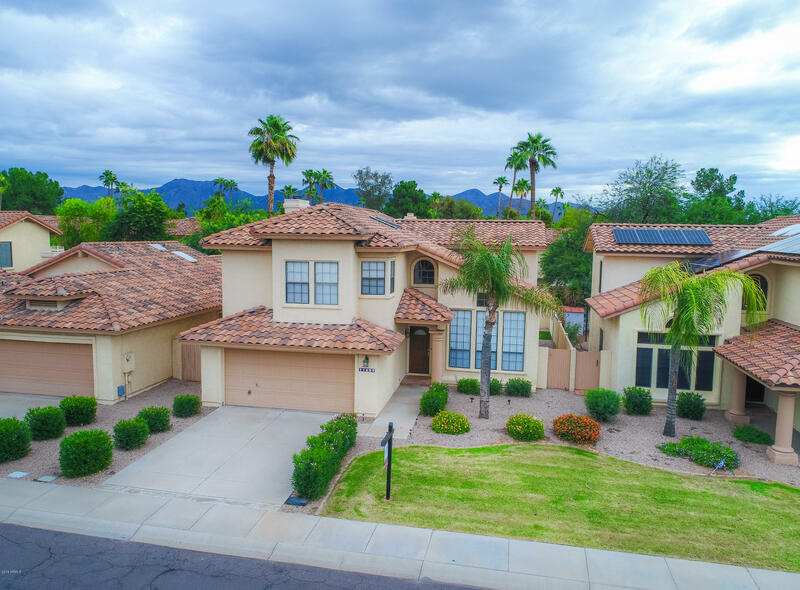 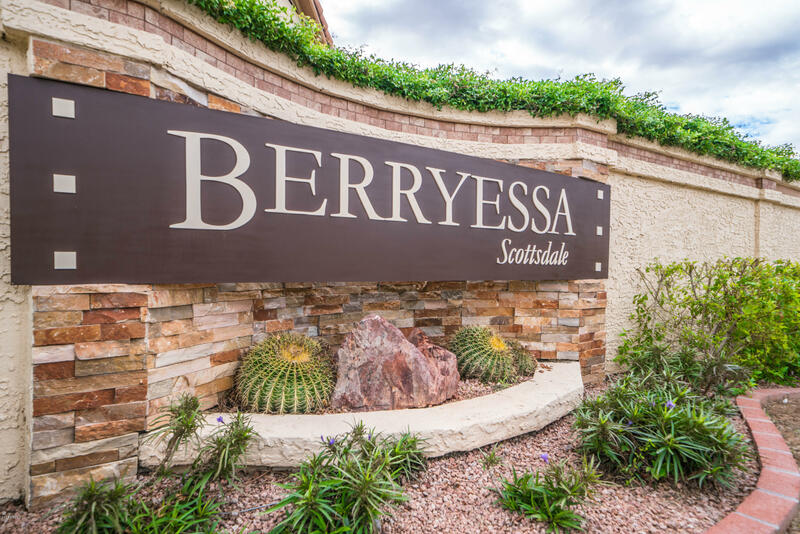 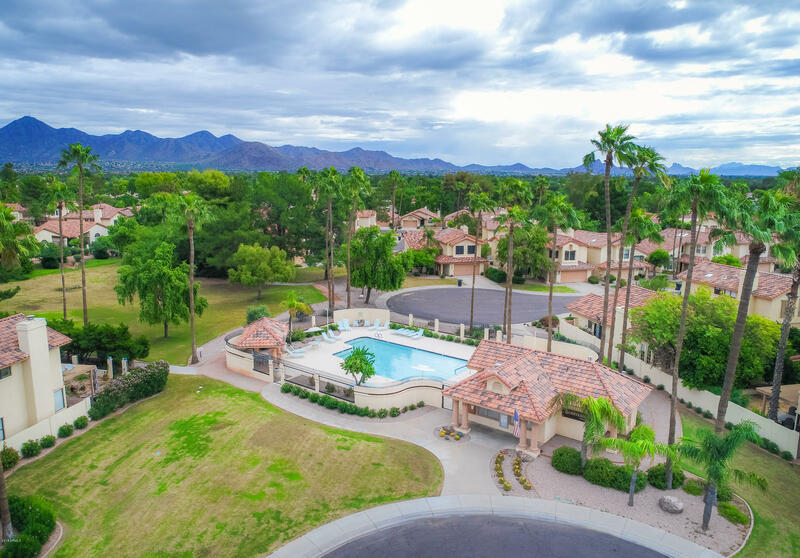 Main level offers a living room with vaulted ceilings & dining room leading back into a great room with family room with fireplace & kitchen with updated granite countertops & modern cabinetry, peninsula w/ counter seating. 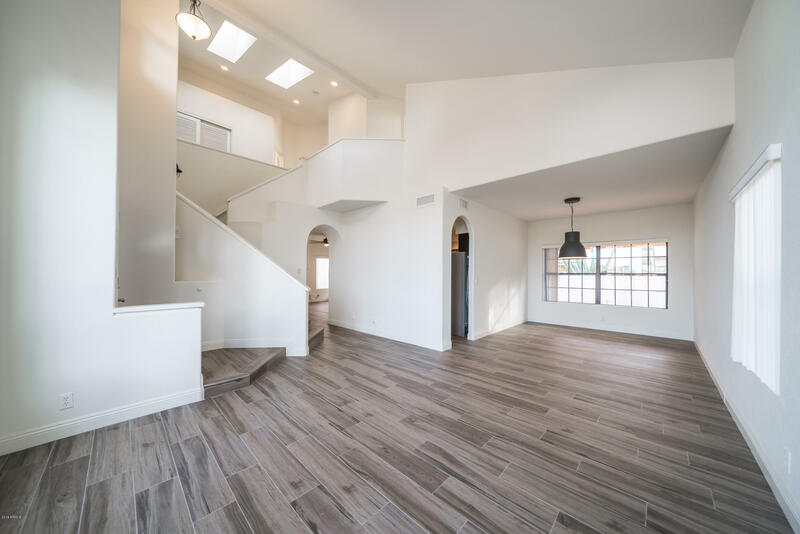 Upstairs houses the 4 bedrooms including a master with dual vanity bathroom, garden tub and walk in shower and large walk in closet. 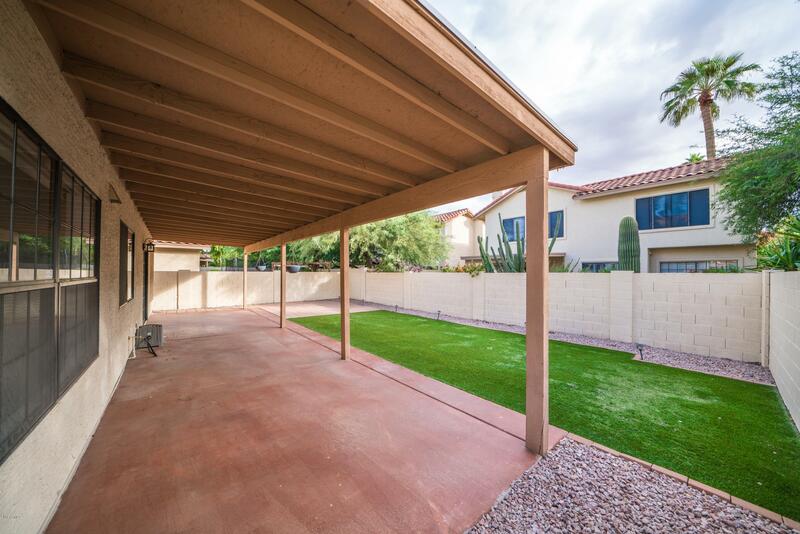 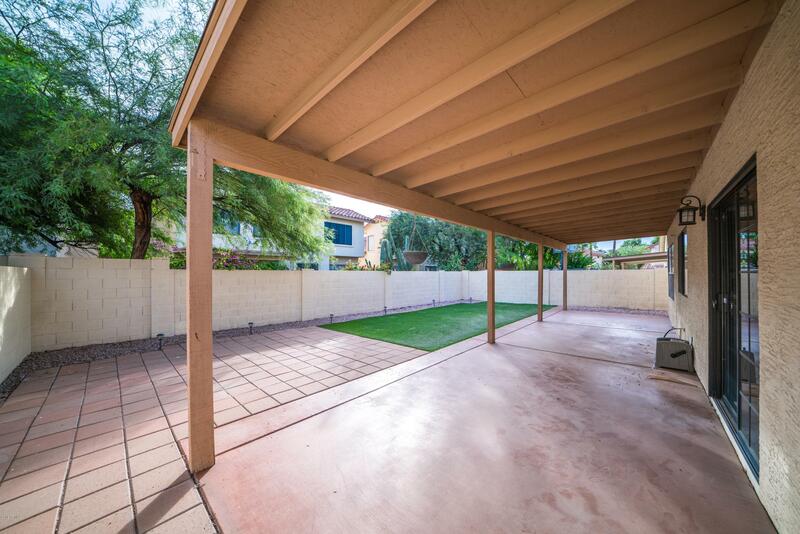 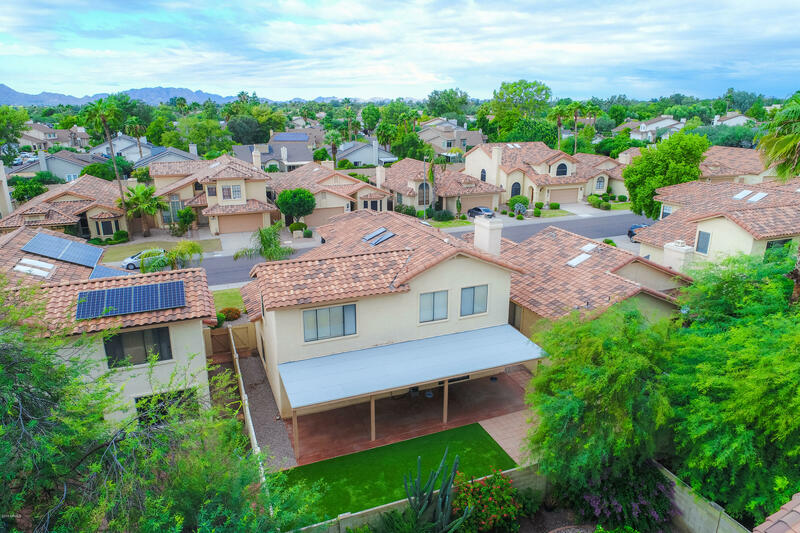 Enjoy the cool fall nights under your large back covered patio or out in the turf landscaped yard. 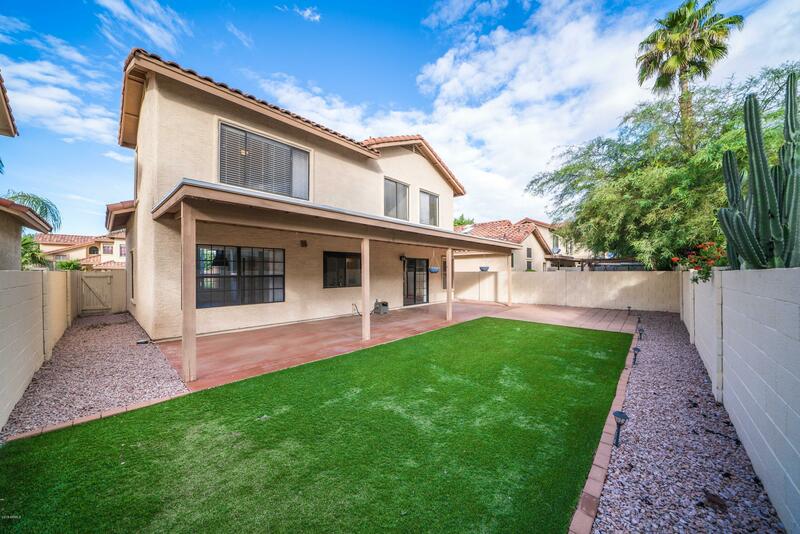 HOA maintains all front landscaping in the neighborhood and community pool and hot tub!